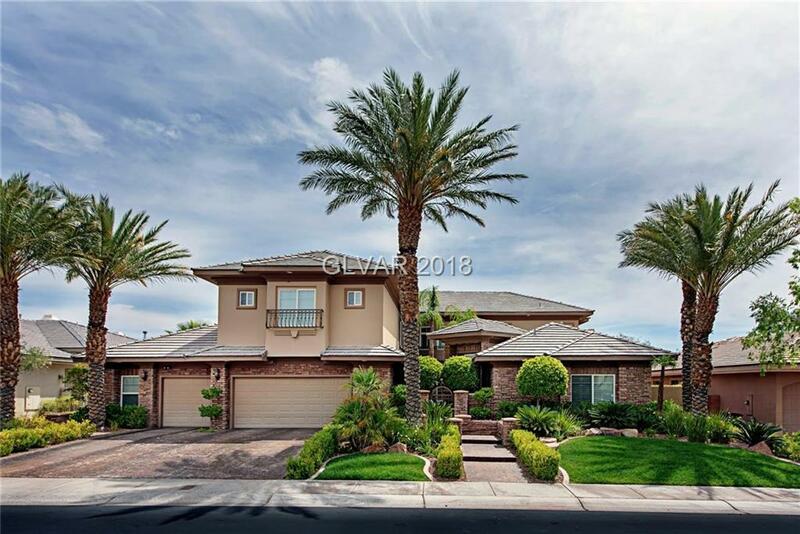 Stunning custom in the desirable Canyon Crest community of Summerlin. This home was built with the highest of standards & boasts 4 en-suite bedrooms, 5 baths, large game room & exquisite office w/ built-in desks & bookcases, gourmet kitchen, vaulted ceilings in family room, oversized 3 car garage, pool, spa, built in BBQ, & covered patio. Grand master suite w/ 3 closets & walk through shower. Community park with access to walking trails. Directions: From Hualapai And Alta, Take Alta West, Turn Left Into Canyon Crest Community. Right On Crescent Mesa, Left On Verde Vista. Home Is On The Left.